Vincent is joined by special guest Harmit Malik to discuss his work on the evolution of genetic conflict. Click the arrow above to play, or right-click to download TWiV 205 (74 MB .mp3, 103 minutes). 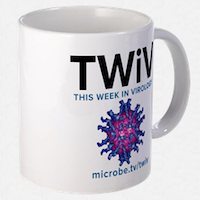 Send your virology questions and comments (email or mp3 file) to twiv@microbe.tv. I’m a big fan of Google Reader with Mendeley as well. You can also use Yahoo Pipes to filter the papers coming through. I read many papers either on my cellphone or tablet while waiting or relaxing with ezPDF on Android. It indexs my documents and remembers pages. Droidley integrates fairly well with my Mendeley as well. So excited to listen to this. I’m an undergrad right now and stumbled across the mammalian placentation paper this fall while working on a paper for a 200 level biology class. 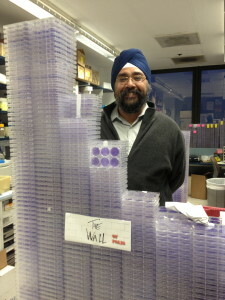 Fascinating stuff! !